Sade Sati time or dosha is an incredibly terrifying word when it is spoken to the general population. Sade Sati is the seven and a half year long term of planet Saturn. The literal translation of Sade Sati is seven and a half years, Sade is half and Sati is seven in Hindi. There is a common belief that the period of Sade Sati is filled with many challenges for the native. These hardships are disappointments, depression, disputes, accidents, sudden failures, lose of money and health problems. Luckily this belief of misfortune during a Sade Sati is not an actuality. Saturn usually does not cause misfortune upon individuals. The hardships and misfortune depend on the individuals’ astrological chart. When Saturn is the reason of this yoga, it in no way can inflict any of these problems upon the native individual. Sade Sati begins when Saturn travels through 12th, 1st and 2nd house of natal moon. 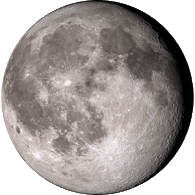 The natal moon is an individual’s moon which is placed on the Astrological birth chart. Saturn takes two and a half years to cross through each planet or each astrological sign. Therefore, it takes Saturn 30 years again to travel around the entire zodiac. The travel through three signs takes Saturn seven and a half years in total. Many individuals experience two to three times of Sade Sati dosha in a lifetime. In very rare occasions will an individual experience four periods. Sade Sati reoccurs twenty five years, from last time and its seven and a half year term. There may be instances in people’s lives where Sade Sati causes hardships. But these occurrences should not be the cause of fear. Sade Sati fulfils a person’s obligations and duties, without stopping to consider personal choices. Through its trials and tribulations many individuals experience may growth and success in this seven and a half year period. An individual, who is egotistical, lazy, arrogant, and selfish, is easily targeted during their Sade Sati. It is during their Sade Sati that this person will go through many troubles in order to flourish and grow as a human being. On the contrary, an individual who is good in nature and consistently fulfils his/her obligations will be least effected by the Sade Sati. They may also be positively enriched during their Sade Sati. The first cycle occurs, when Saturn moves through the 12th house from the moon, which is two and a half years long. The treacherous sequence of events is directed towards close relatives and parants of the person rather than the person him/herself. Some of the health problems that may occur include eye problems. The harmful circumstances that impact the native directly can be financial hardship. The financial trouble is a result of an increased amount of wasteful expenses due to the seventh aspect on the sixth house resulting in debt. There can be a loss of fortune for the person and the native’s father when the tenth aspect is on the ninth house. The second 2.5 years cycle occurs, when Saturn travels to the next house from the zodiac moon sign for two and a half years. This cycle impacts the person directly in his/her domestic and business affairs and it also has a negative impact on his/her health. This second cycle can prove to cause much harm and misfortune. The native can experience; diminishment in finances, misery, health failure, lack of self -esteem, self-respect issue, abandonment form family and a lack of success in business and personal ventures. The most harmful effects of the second cycle only occur, when Sani is in a state of malice in the person's astrological chart. In most cases the second cycle produces mixed results. The third 2.5 years cycle is a transition of Saturn to the next house from the natal Moon. This 2.5 years cycle is known to affect the native’s health mainly. It can also cause death of any childrenin the later part of one's life. Some of the negative effects of this cycle are loss of finances or wealth, increased expenses, health complications, domestic troubles, mental torment, physical ailment, increased amounts of grief, consistent quarrels amongst family and friends, also an increased number of enemies. The Sade Sati occurs in two forms, one form is meant to develop you as an individual and the other may be unbearable torture. Therefore remedies can not be suggested or considered unless the native is in complete agony and suffering. In some cases Saturn may be attempting to correct all the wrong doing of the native’s life through difficult obstacles. In this case the native should endure and overcome all the sequence of events. If the native is under extreme scrutiny then he/she should visit to a professional astrologer before attempting to execute any type of remedy. Some of the remedies include: Iron ring which is made from a horse shoe. Do not wear any stones during the Sade Sati except rare cases where an astrologer successfully completed detail study of your circumstances. The best remedy during the Sade Sati is to refrain from all types of Sins and to also practice in acts of giving, such as donating food and shelter to the less fortunate. 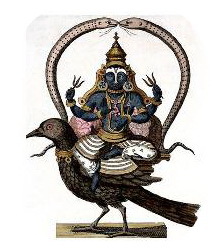 Sani (Saturn) is the karak for Karma (Lord for Work). Hence Native has to work for any result. This phase will make the native feel that this world is not the place of dream, but is a place for hard reality. Experience Native should keep working without giving importance to personal choices. Native can get success if does the right thing without expecting any result and keep working toward the goal. If the person is egoistic, arrogant, crual then he or she fay face hardships during Sade Sati and can make him go through a lot of hardships. If you make any mistake this time you may not be forgiven but punished.